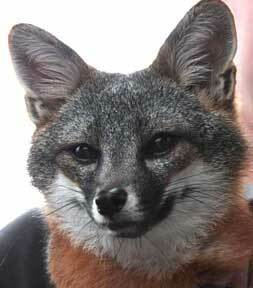 Across San Miguel, Santa Rosa, Santa Cruz and Santa Catalina Islands, island fox numbers are rising. Populations that hovered just above extinction, with just 15 individual animals, are climbing toward recovery. This Holiday Season you can give the gift of helping support island fox recovery. To date Friends of the Island Fox has funded 47 radio-tracking collars for monitoring wild island foxes. Radio collars provide important information on island fox welfare, including the first information on threats from disease or golden eagle predation. Radio Collars. When you sponsor a radio collar you receive information about an individual island fox, its history and current life in the wild. 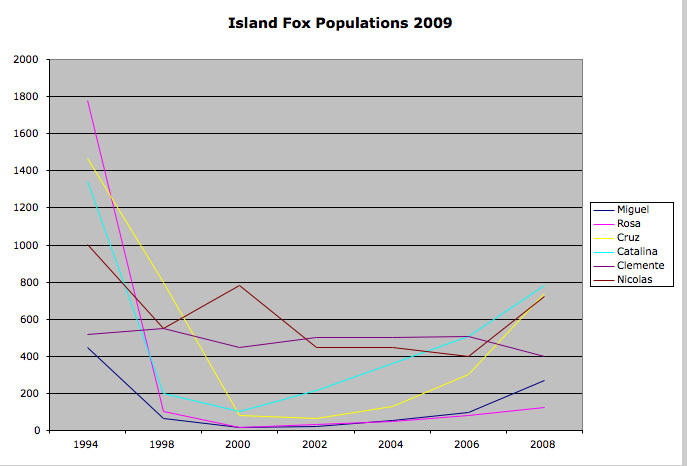 You are actively playing a role in island fox conservation. This year alone, FIF provided FREE educational programs to 2,000 students from 3rd grade to college. 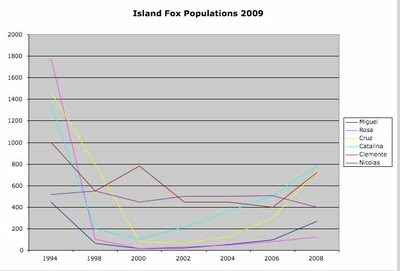 The next generation is the vital connection to sustaining wild populations of island foxes. FIF in schools. Interaction with students and community. Diseases transmitted from domestic pets or introduced animals pose a serious threat to island foxes. Each year island foxes are given Health Checks. In order to maintain viable populations in the face of another disease outbreak, 80 - 100 island foxes need to be vaccinated on all 6 islands. 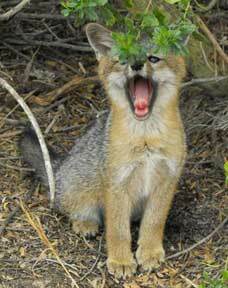 You can play an active role in island fox recovery by donating to Friends of the Island Fox. 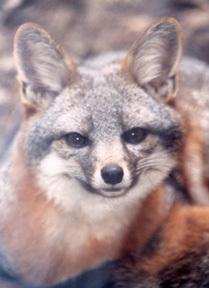 Give a gift that makes a difference and helps to save the endangered island fox. More on why the island fox is endangered.